Hurricane Matthew has come and gone but not its aftermath. Haiti is a Caribbean country in mourning once again as the death toll and massive material damage accumulated from the great storm. North Carolina too is experiencing much sorrow over lives and property lost due to the flooding left by Matthew. 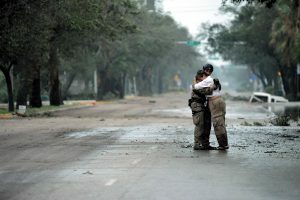 These are the known physical consequences of natural disaster devastation but what of psychological ones? What happens in the minds and psyche of victims who struggle to come to terms with the random nature of nature? 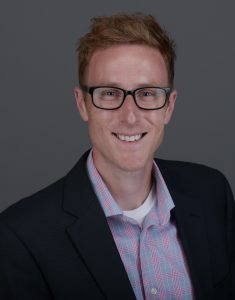 With $1.8 million in funding from the John Templeton Foundation, Dr. Daryl Van Tongeren and students from the Hope College Psychology Department, along with colleagues at Wheaton College, Georgia State University and the University of North Texas, seek to understand how survivors find meaning after natural disasters strike, and how those events affect people’s views and relationship with God. They are midway through the three-year study. Currently, the team is collecting data from recent disastrous events in Louisiana and now North Carolina, but in their first year, Van Tongeren and his Hope students concentrated on questioning participants, in lab studies, about their imagined responses to disaster scenarios in written form. Those early studies have found is that when confronted with abstract situations where life is described as lacking meaning — and when confronted with situations where the threat of a natural disaster is emanate, participants recorded less positive attitudes toward God and life in the first scenario. In the second scenario, they did not. Why? Is there something unique and qualitatively different about a natural disaster as opposed to a philosophical argument about why life is meaningless? In other words, why are participants trying to hold onto meaning in a natural disaster scenario when high stress and emotional turmoil are just as prevalent as another negative situation? Continued research with those who have actually survived natural disasters will hopefully answer these questions more completely in the upcoming year. And although imagining is never a substitute for the real thing, this type of lab work has informed the investigators on ways to research. In fact, this early research via lab work earned Van Tongeren’s Hope students an award at the Midwestern Psychological Association for their presentation of it last May. Yet, in the meantime, Van Tongeren knows this much thus far, “If we can somehow find meaning from a horrible event, we’re actually going to be a little bit better off. If we can somehow gain spiritual meaning from it, then the negative mental health effects are diminished,” he says. On the practical level, Van Tongeren and colleagues are trying to help people in these catastrophic situations become as prepared psychologically as they are physically. In the hours before the storm, or flood, or forest fire, or tornado, what kinds of positive responses should be cultivated preemptively? When this happens, where are support systems? How can people invest back in their communities? Where will they find meaning when meaning can seem lost? Previous Previous post: The Rivalry: Sport versus Religion?